Do you ever have days when God tells you to do something, but you really don’t want to? Do you have those days when all is well, but your heart feels heavy, and you don’t know why? Is the mental battle great? Well, my friends, if you answered yes to any of these questions, you are not alone. I am guilty of questioning God’s guidance. I don’t always want to go the direction He leads, and I’m not always bubbling over with joy, and sometimes I’m just weary. My moods seem as fickle as the weather. But there is a place I can go that is always constant. Comforting. Enlightening. Promising. It isn’t susceptible to the clouds or circumstances in my life. It always brings peace as I follow its instructions. That place is the Bible. It’s a comforting place to me because it tells me that God has won. It promises me that He loves us and is with us. And it promises that the Lord’s life will flow through me as I stay attached to Him. He promises we will bear good fruit when we stay close to Jesus. 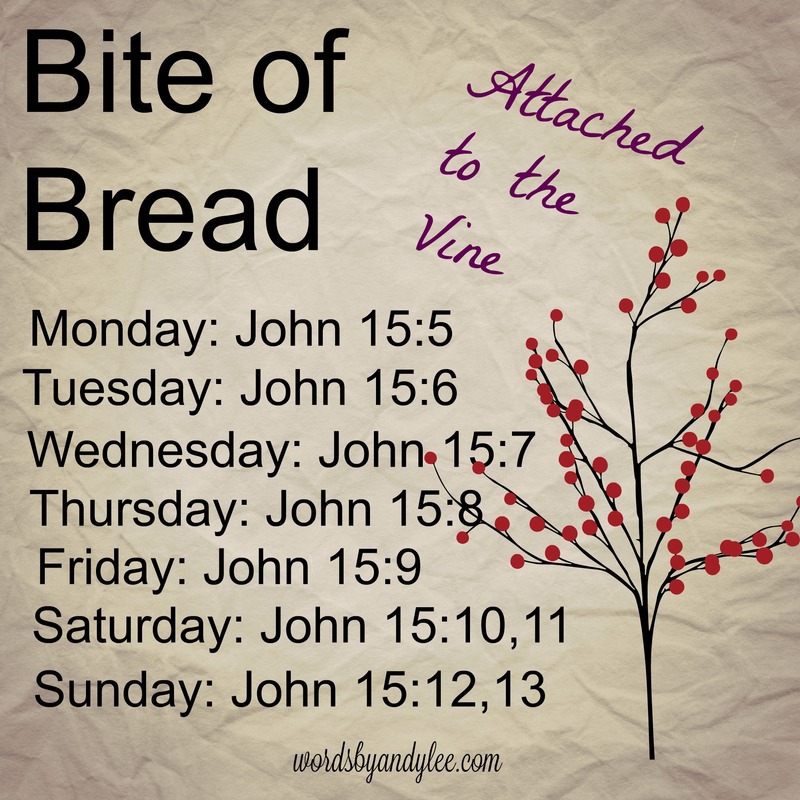 So, this week the Bite of Bread comes from John 15. It’s probably a familiar passage for many of you, but I pray that as we take it bite by bite, the Lord will speak to each of us in new ways. It’s all about clinging to the vine–to Jesus. 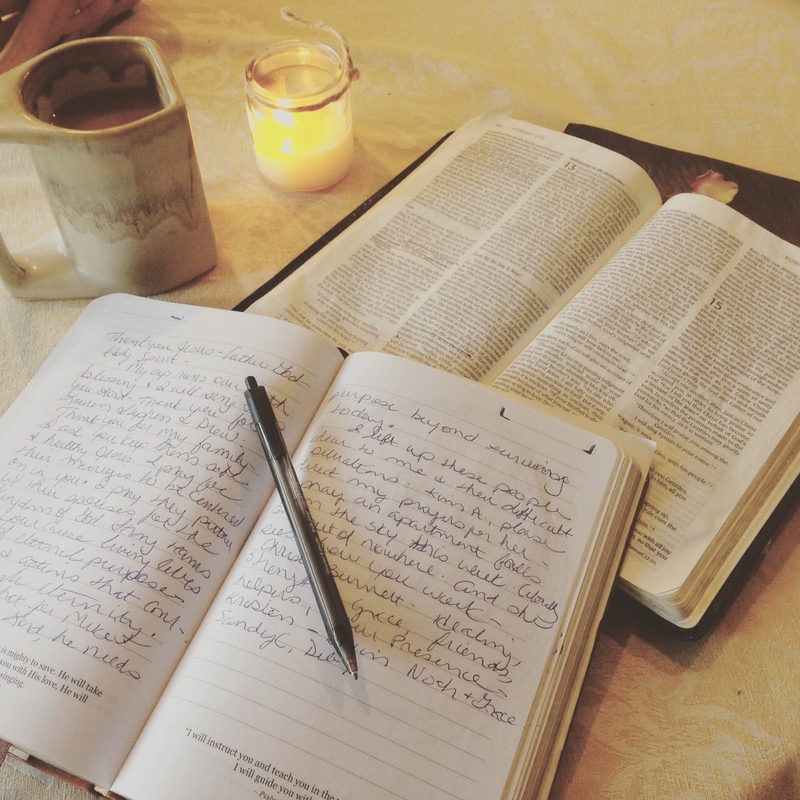 Grab your journal and jot down these verses. And I want to encourage you to write down a short prayer in your journal. Thank Him for one or two things, give Him praise, and then ask Him to reveal Himself in new ways through the verse for that day. Ask for fresh insight. Write out the verse, then write down anything God shows you in your time with Him. I pray your week will be fruitful for eternity. You can join me every morning live on Periscope around 8:30 EDT. 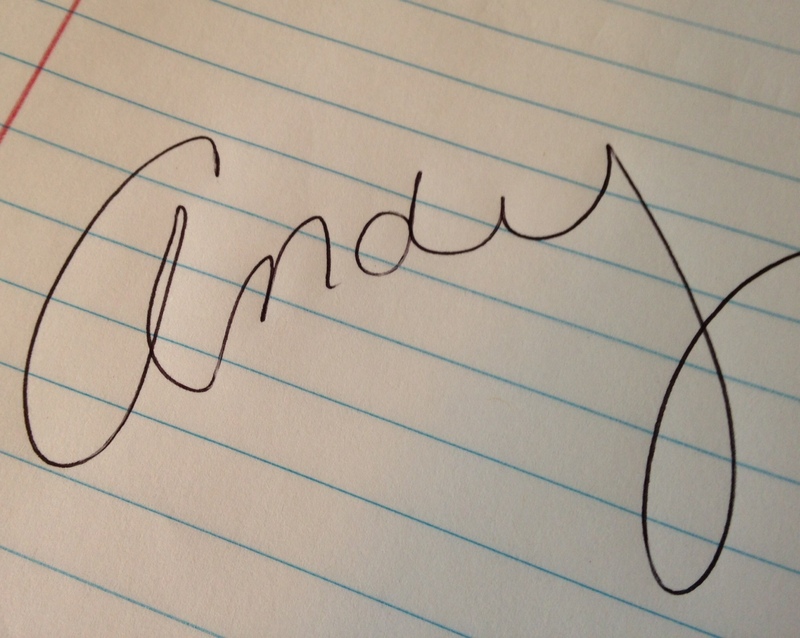 Follow me @wordsbyandylee. You’ll get a notification when I’m broadcasting. We can share the bite together. 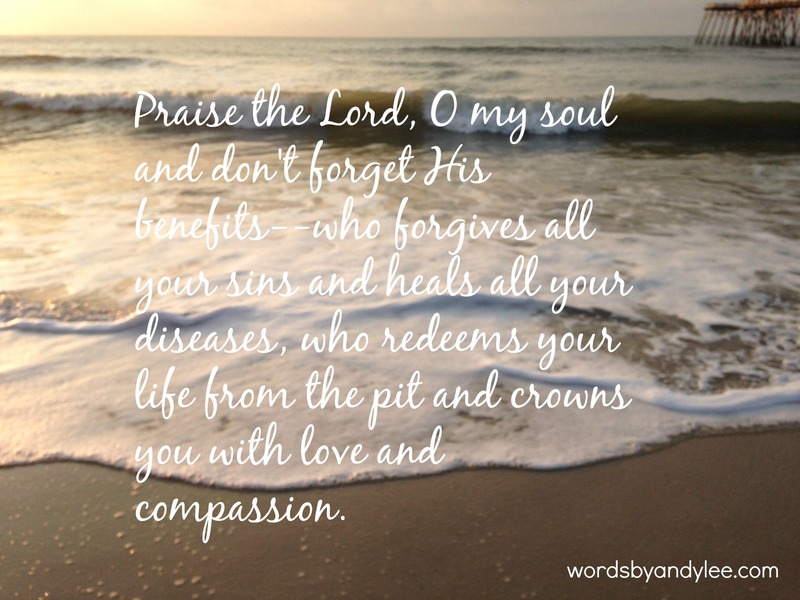 Join us on our Fellowship page too for beautiful scripture images made by my friend Samantha Tracy. Join the conversation: When have you felt closest to the Lord?